Demolition of the low-rise commercial buildings at the 1.1-acre site at the corner of Keeaumoku and Makaloa streets will be complete next month, Rick Stack, executive vice president of ProsPac Holdings, told Pacific Business News during an exclusive tour of the sales office and model unit for the Azure Ala Moana project. 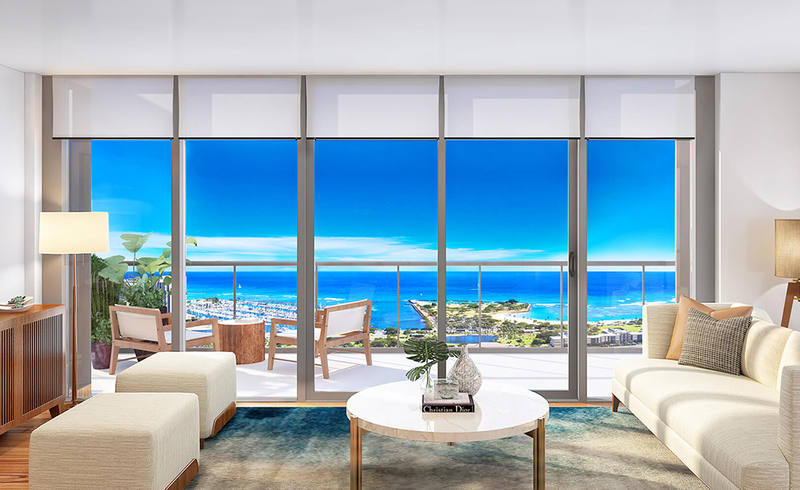 Azure Ala Moana will have 330 market-priced condominium units and 78 affordable rentals on two floors. The building will also have 21,268 square feet of commercial space on the first two floors and a public plaza on the corner of Keeaumoku and Makaloa streets. The developer is financing construction of the $300 million project with a hui of local lenders led by First Hawaiian Bank, Stack said. ProsPac has a letter of intent from First Hawaiian and is within 15 units of reaching the sales goal for financing, he said. Sales started in September, Stack said the project is 60 percent sold already. Three-quarters of the buyers are local. The other 25 percent come from the Mainland, Japan, South Korea and China. Most of the building’s one-bedroom units, which are priced in the $600,000s and $700,000s, are already under contract. The two-bedroom units are priced from the high $700,000s to $1 million. There are also seven three-bedroom units on very high floors priced around $2.5 million. The project is likely the first in Honolulu to combine market-priced for-sale condominium units with affordable rentals for people earning up to 80 percent of the area median income. The rentals, all studios, will be located on the 11th and 12th floors, and will have no parking stalls assigned to them. Tenants will also not have access to the building’s amenities, which include a pool. ProsPac intends to hold ownership of the rentals, which are grouped as one condo unit and will be affordable for 30 years, Stack said. The building will have a total of 576 parking stalls for the condo units and for the retail space. ProsPac is also close to finalizing a contract with general contractor A.C. Kobayashi Inc., which has been working with the developer and the architect, Design Partners Inc., on a design-assist basis and is currently doing the demolition work, to build the tower, said Stack, who said contractors have been telling him that business is currently slow so they’re eager to put their crews to work. The developer applied for a building permit for the project worth more than $143.6 million in May of last year. 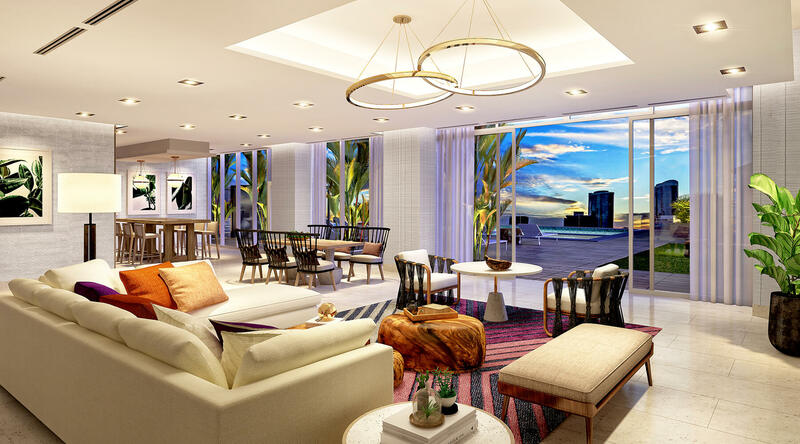 International design firm Hirsch Bedner Associates is designing the interior in its first Hawaii project. PBR & Associates is handling landscape design and Heyer & Associates is the exclusive broker for sales. ProsPac has engaged Hawaiian Properties to handle management of the affordable rentals as well as the condominium association, Stack said.